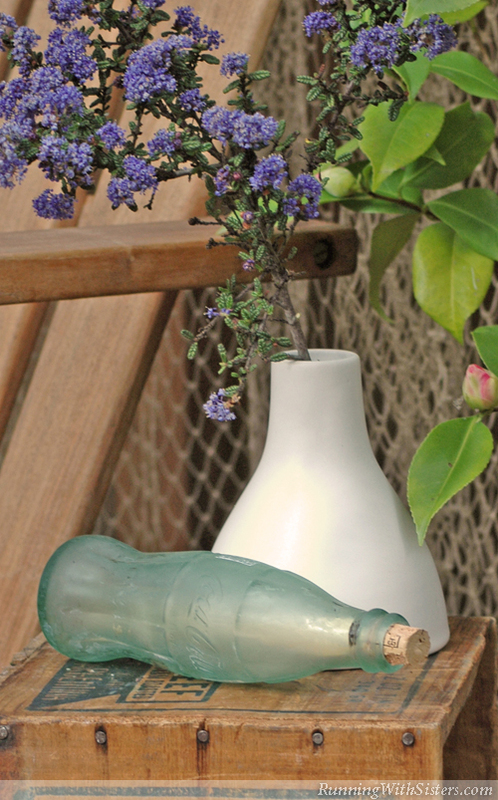 Create your own “coastal” retreat with beachy flea market finds. Seaside style is all the rage. And whether you live minutes from the shore or hours by plane, you can breathe the sea air by creating your own patio paradise. Coastal accents like glass floats, fishing nets, and even conch shells can be found at flea markets from Maine to Texas to Idaho. 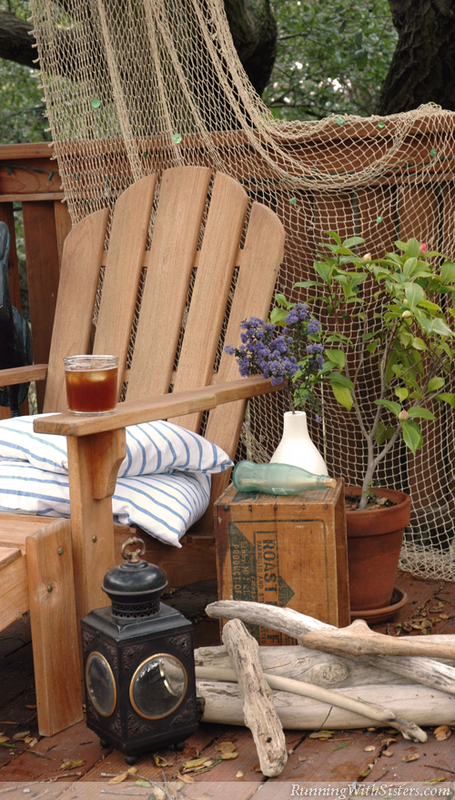 So get out your straw hat, pass the tanning butter, and get ready to turn your deck into a seaside oasis with these seven essentials for beach living. 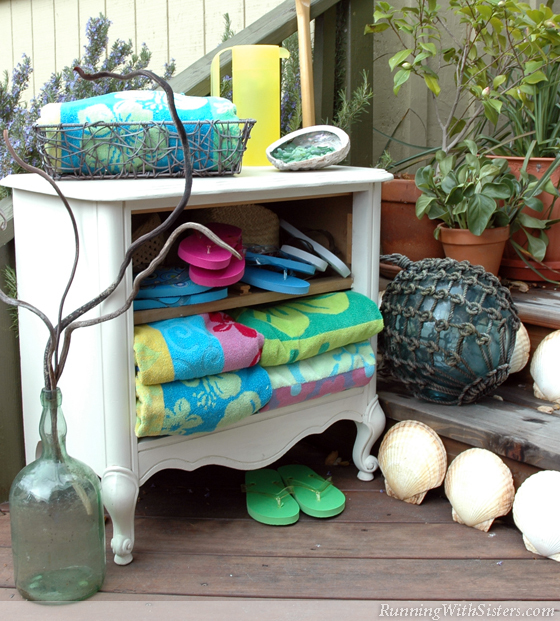 You can’t go to the beach without a cooler, so keep this flea market find by your side as a “seaside” table. Skip the modern plastic models and go for a vintage metal one in blue or silver (you can find one for between $5 and $25). Fill it with ice and this cool table earns its keep! Bleached wood and white wash paint a coastal scene. 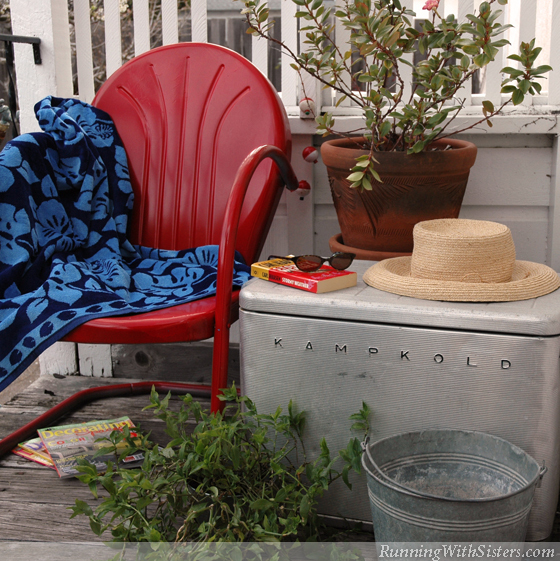 To get the look, simply paint flea market furniture white and use it outside. Look for bargains like dressers that have lost their drawers. The “shelves” are perfect for beach towels and flip-flops–even if you live in Kansas! Every seaside shanty has a net or two. This swap-meet regular makes a terrific outdoor curtain. Hang it from a long branch to create a virtual wall. Or make a chic, seaside swag by draping it from a tree. You can dress it up with shiny shell buttons for a little natural pizzazz. Aged shipping crates abound at flea markets, and for some reason they are irresistible. So give up the fight and get a few favorites in different shapes and sizes. 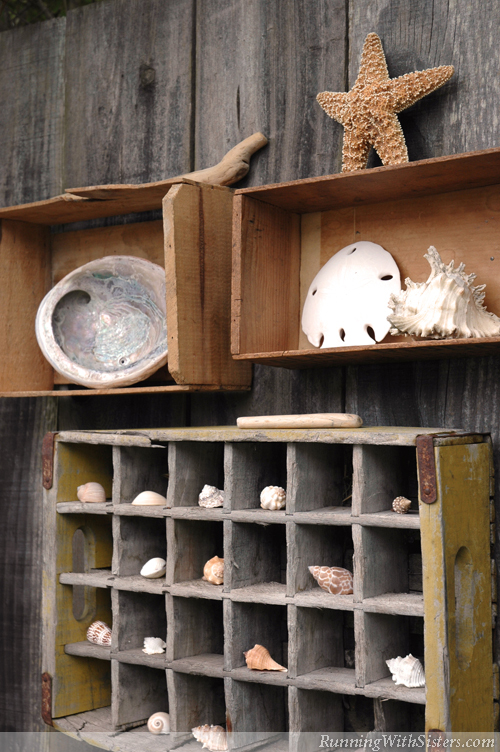 Turn each crate on its side and tack it up to your fence or wall for an instant outdoor shadowbox to showcase your shells. Now that sand dollar looks like a million bucks! 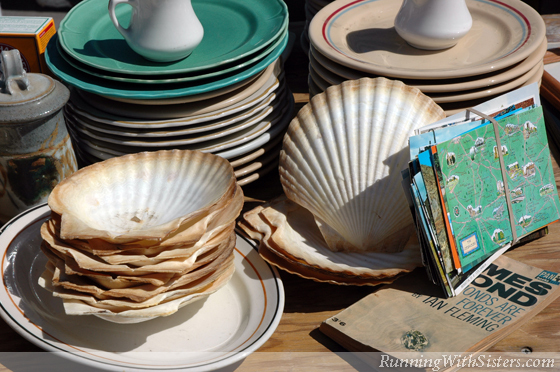 Have piles of seashore finds from romantic walks on the beach, but no place to put them? 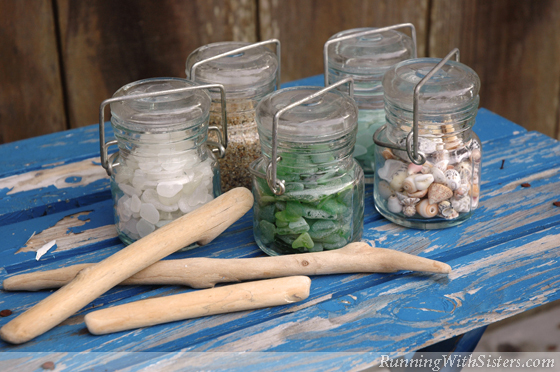 Take your beachcombing skills to the flea market and search for half a dozen wire-clasp jars. Fill them with precious shells and sea glass for a splashy display of your tiny treasures. Just keep an eye out for pirates! 7. Hang A Sign And Hang Out! 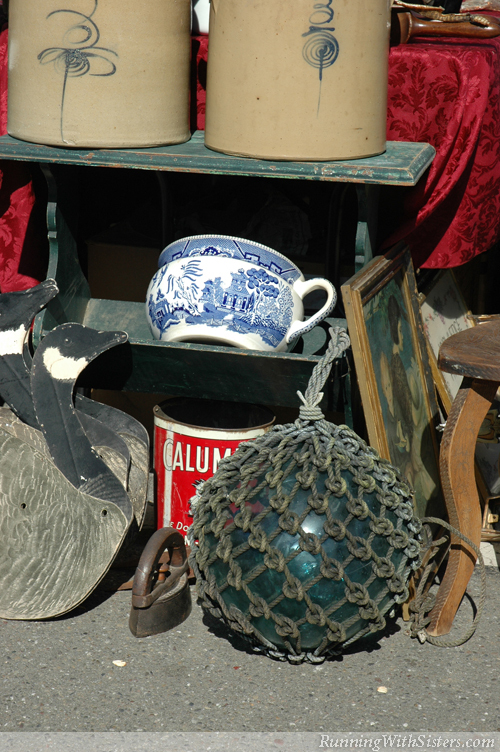 No beach bungalow would be complete without a weatherworn sign, and the flea market is the perfect place to find one. 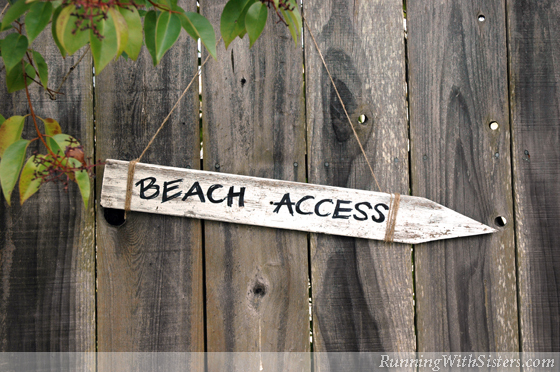 If you see a sign that’s peachy but not beachy, just paint it white and make your own. “Beach Access” is a classic, but “We’re Happy As Clams” says it all.